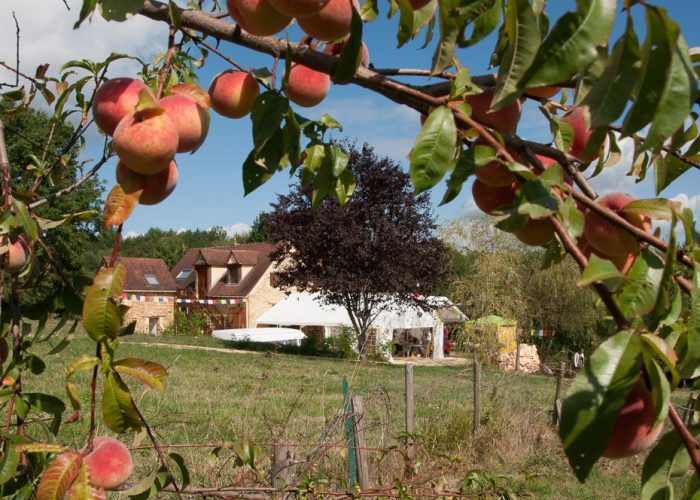 In the idyllic surroundings of the Périgord noir, with its lush landscape and rich history, Lama Jampa Thaye gave the entire cycle of initiations of the 21 Taras from the 11th century Indian master, Atisha. This is the first time this series of initiations has been given in the West. 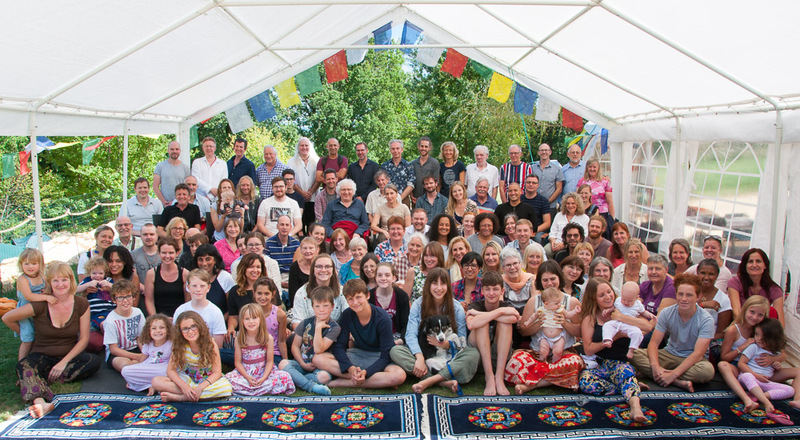 Around 100 students travelled from countries as diverse as Mexico, the USA, Norway and the UK to our European retreat centre, Sakya Changlochen Ling, to receive Tara’s blessings. 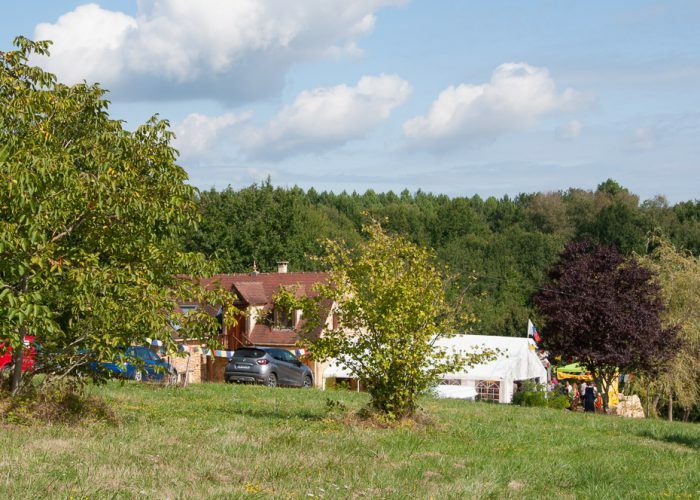 Included in the attendees were many children – from babes in arms to young adults – a positive sign for the future flourishing of Buddhism in the West. The Buddha Tara is known as the mother of all the buddhas as her nature is primordial wisdom. Without this wisdom that cuts through self-clinging, we remain imprisoned in the cycle of birth and death. There are many stories of how Tara manifested, including that of Princess Jnanachandra who made a special vow to always appear in the form of a woman until samsara is emptied in order to help beings. In our time, she is renowned as the Tara who pacifies all fears, swift in giving protection to those in peril. 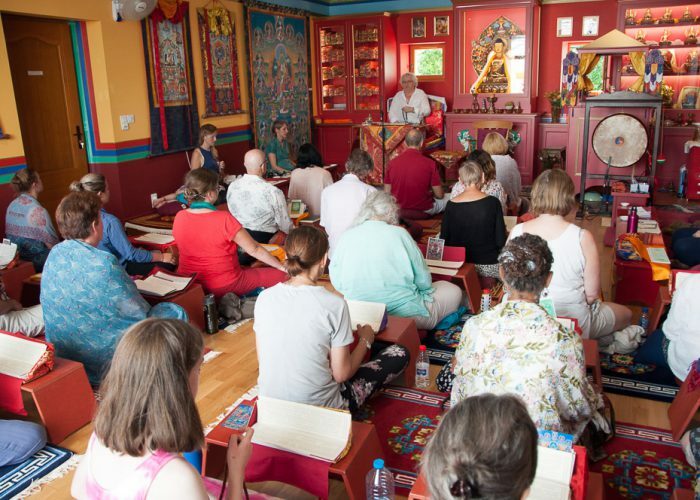 The Taras in this cycle assist practitioners to overcome obstacles on the spiritual path, along with attracting good conditions for swifter achievement of liberation. These teachings are from the highest vehicle of Buddhist practice, the vajrayana. 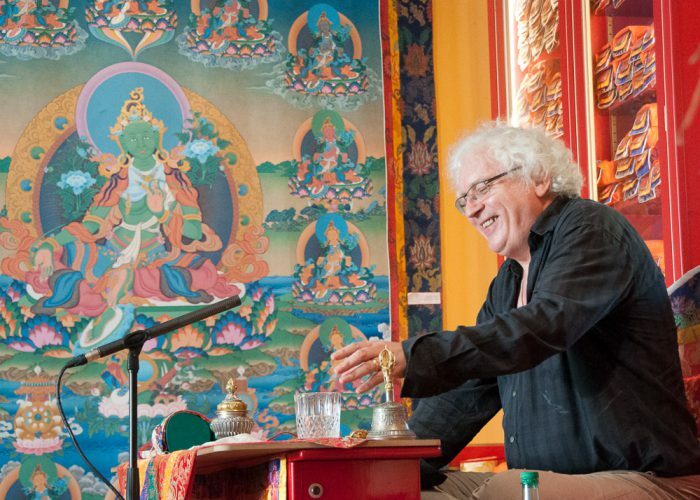 During the teachings, Lama Jampa reminded students of how it is important to continue to rely on the fundamental teachings, such as those on ethical behaviour and having the right motivation for practice, free of self interest, for the blessings to be received. These support the practice of Tara, just like foundations and walls support the golden roof of a temple. Although all have the potential to achieve buddhahood, the chance to do so is rare, amazing and fleeting like the lightning of a spectacular Périgordian storm. Our spiritual path can be destroyed from within by our distractions and from without by a loss of freedom through a change in the political wind, or turbulence within Buddhist communities themselves. To avoid this, Lama Jampa urged everyone to practice with sincerity, power and dedication, showing respect, concern and kindness to each other in which all beings can then share.